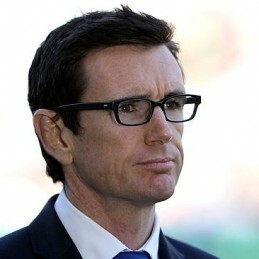 Ben Ikin played 150 NRL games with the Gold Coast Seagulls, the North Sydney Bears and the Brisbane Broncos. He played in a premiership with the Broncos, represented Queensland in State of Origin competition 17 times, and played two Tests for Australia. Ben remains the youngest person to play State of Origin football. Following retirement, Ben worked as a commentator for five years with the Nine Network, also co-hosting The Sunday Footy Show. Ben has worked in various roles in the property and construction industries for ten years but now works full-time for Fox Sports and Crocmedia. He is also a director of the Men of League Foundation and the North Queensland Cowboys. Ben delivers a presentation on high performance teams and individuals with Robert Ford, the Queensland State Director of Corporate & Specialised Banking at Bankwest. Robert is a senior executive with 20 years of experience in the banking industry.